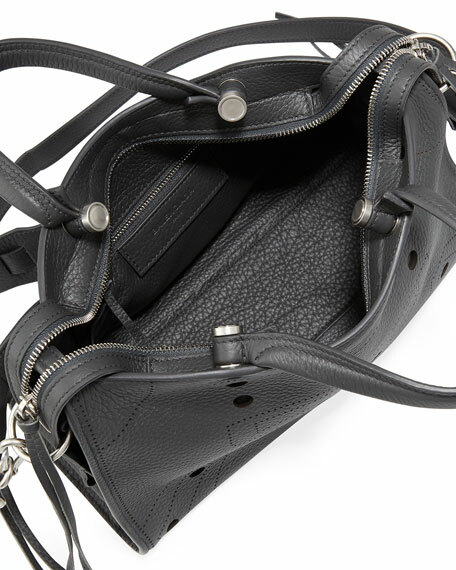 Balenciaga "Classic City" bag in pebbled calf leather with perforated illusion hardware. 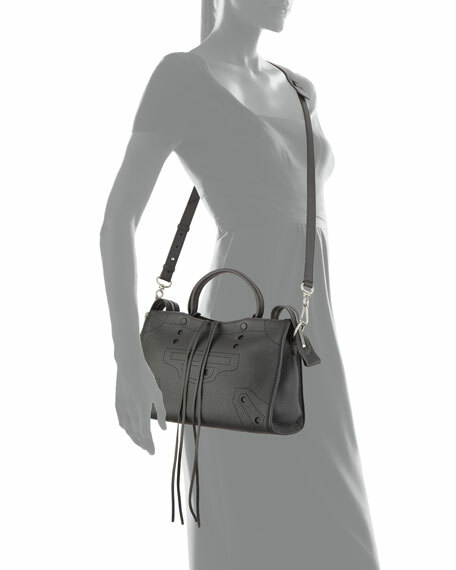 Removable shoulder strap, 19.8" drop. 7.5"H x 11.5"W x 3.5"D; weighs 1 lb. 7.3 oz. For in-store inquiries, use sku #2265598.